Increased growth in the region is creating great development opportunities for businesses in Umeå. Many firms are investing in the future and one of them is Input interior, which will soon be opening its new office, warehouse and showroom. “It feels really great to be growing in unison with our clients,” says Johan Nilsson, Site Manager at Input interior in Umeå. Last year Umeå came out top in the ‘Super Municipalities’ rankings, an accolade based on performance in areas such as finance, academic results, number of residents moving in and number of businesses in the municipality. And the city expects the future to remain bright. With the new investment in the university and hospital district Universitetsstaden, it is hoped that an international-class innovation environment will be created that will attract more residents and businesses. Input interior has benefited from the positive trend in the city. 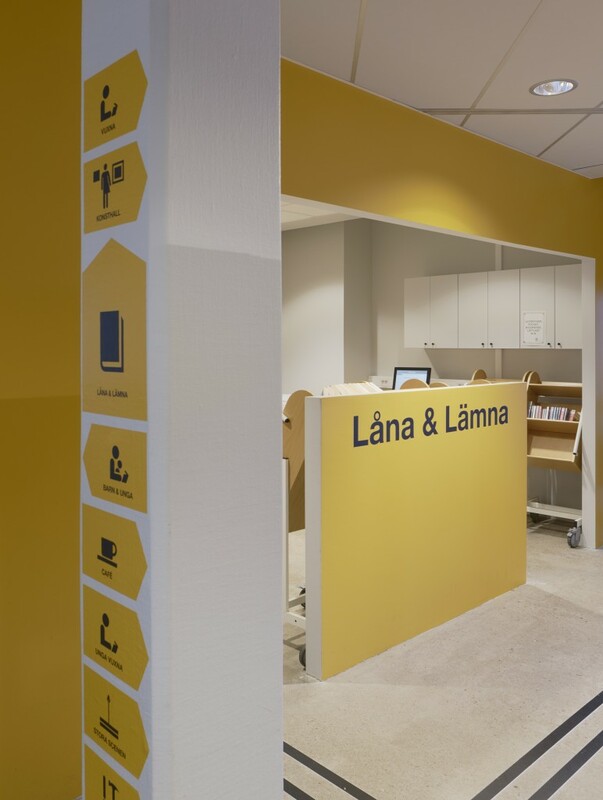 Umeå University, Vattenfall and Länsförsäkringar Västerbotten’s new head office are some of the sites for which the interior design company has undertaken procurement, project management and delivery of interior furnishings in the past few years. “It feels really great to be growing in unison with our clients. Over the past four years we have more than doubled our sales. We have worked on projects for clients within the business sector, but also extensive projects in the public sector, supplying county councils and universities in the region,” says Johan Nilsson, Site Manager at Input interior in Umeå. The company has also taken an active interest in the local community and is a partner of Hjältarnas hus, a recuperation facility where children recovering from illness can stay in a home-like environment with their families. The increased demand has led to Input interior becoming overcrowded at its premises on Björnvägen on the Stora Birk industrial estate. “It began with wanting to improve our kitchen facilities, but as business increased we also outgrew our warehouse. So we decided to go for a complete refurbishment instead, giving our showroom, staff rooms, work areas and conference room a revamp and a new look,” explains Johan. The biggest change is in the warehouse, which has almost quadrupled in size. The workforce has also grown and a team of 14 now work full time at the company. Johan sees continued scope for staff expansion. The warehouse, office and showroom will be completed in spring. The opening of the new premises will take place in conjunction with Möbelmässan Norr on 17 May, an interior design fair being organised by Input interior for the 9th year. “We are looking forward to inviting our clients, suppliers and purchasers to view the latest innovations within public environments, and at the same time explore our new premises,” concludes Johan.